At Liebherr, design is an amalgamation of certain elements: distinctiveness, functionality, and innovation, along with classic and timeless elegance. Read on to discover how our design incorporates the latest trends, how the refrigerator is evolving ever more into a design object, and what makes Liebherr appliances unique. Anyone who regards their kitchen as a fluid living space will expect their fridge to harmonise with the overall ambience of their interior design. And so, in the course of developing Liebherr products, we give serious consideration to the situational interplay of material, form and proportion, and to the effect the appliance has in this regard. The result is that we bring to market appliances that enrich their environment with balanced lighting concepts, high quality materials and coherent design. Real innovation, as we understand it, comes from a preparedness to consider all the various components, both from an implicit perspective and from an encompassing perspective. With this understanding as a basis, Liebherr develops its ideas and the resulting design studies are subsequently showcased at trade fairs to both trade partners and end users. Our products are then further enhanced in accordance with the feedback we receive and, only after this, prepared for series production. As a company, we also receive highly valuable feedback about our technology and design quality through participation in international design competitions. 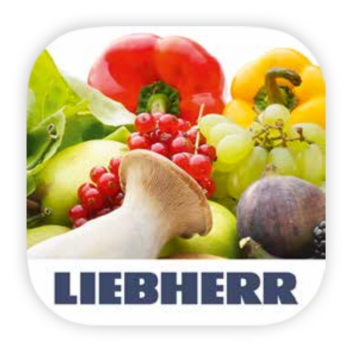 With more than 60 years of experience in the refrigeration and freezing sector, Liebherr has vast pool of expertise and know-how when it comes to the manufacture of contemporary, innovative and high quality products in both the domestic and commercial sectors. 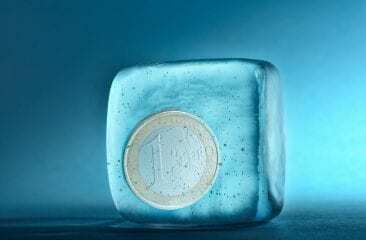 In the past, refrigerators and freezers were somewhat ‘neglected’ possessions, but nowadays we’re seeing people taking a huge interest in acquiring just-the-right refrigerators, freezers, wine storage cabinets and other household appliances to meet their needs. We’re living in exciting times because the separation of kitchen and dining/living space no longer exists. Visually appealing appliances are becoming very important accessories in modern homes – people are looking for appliances that catch the eye and impress with their style. To meet this demand, Liebherr offers a range of models that distinguish themselves through their technical innovations and through the distinctive interaction of their colour, form and material. Our refrigerators – whether classic stainless steel, elegant BlackSteel or chicly glass-fronted – enjoy status as design highlights, and can be confidently integrated into both kitchen and living space contexts. In line with this transition – comprehending the kitchen is a living space – the focus is moving away from pure white appliances, and Liebherr is at the forefront of these developments. Many of our appliances are offered in stainless steel or BlackSteel, and our wine cabinets are also available in polished Terra, intense Bordeaux Red or Matt Black. 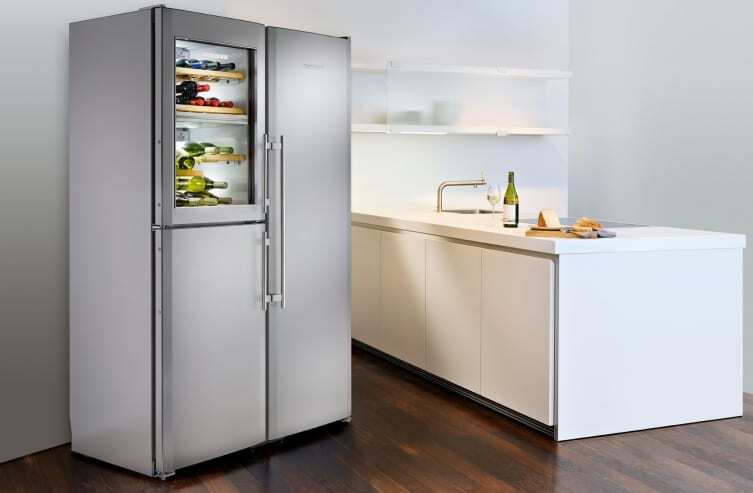 In some countries, freestanding refrigerators and fridge-freezer combinations are additionally available with a black or silver paint finish. 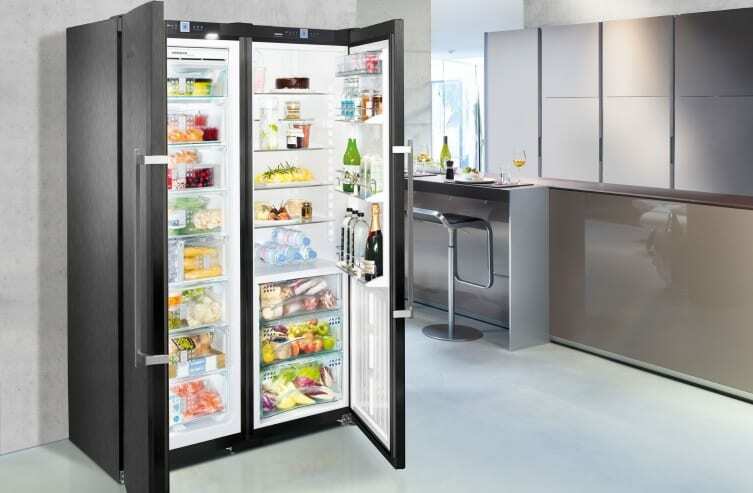 Liebherr is proud to offer contemporary design, intelligent refrigeration technologies, intuitive operation, and premium quality materials to both the domestic and commercial sectors. Liebherr’s domestic appliances division’s motto: “Quality, Design and Innovation” aptly expresses the interaction of the pertinent elements. High quality demands both innovative technology and great visual appeal, and every Liebherr household appliance is developed and manufactured according to this maxim. Customer requirements stand at the heart of every conceptual consideration and therefore, prior to any actual development, feasibility studies are carried out and aligned to the results of extensive customer research. Subsequently, our engineers and product designers get down to work incorporating this information, and the information gleaned from regular technology scouting and from examining long-term sector trends, into the flow of the design process. 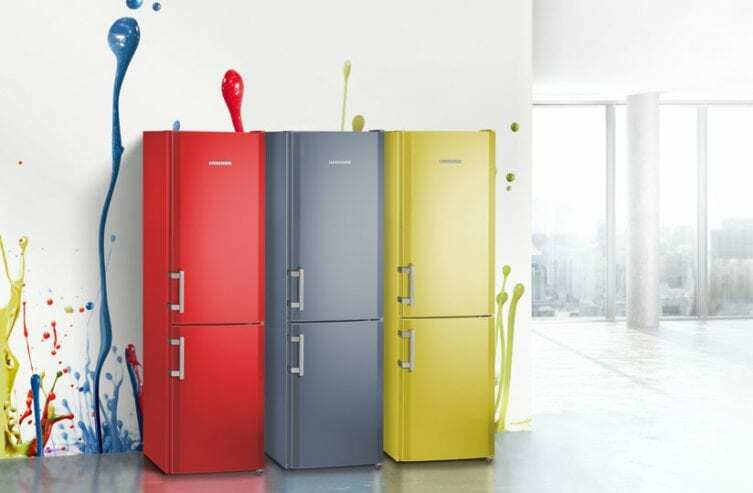 Liebherr first presented its ColourLine-Edition appliances at the IFA 2014, as prototypes, in a striking array of colours. Trade fair visitors voted for their favourite colours, and the most popular – WaterBlue, AvocadoGreen and FireRed – were made commercially available as our ColourLine freestanding appliances. These refrigerators bring colourful accents to both kitchens and living areas. Our interior lighting is designed to offer homogenous illumination throughout the appliance. To facilitate this we have developed a special lighting concept, which is space-efficiently integrated into the inner container. Stored foods are bathed in a delightfully pleasing light. Further, the interior lighting in our glass door appliances can be dimmed and hence contribute to atmospheric room lighting. From our combination appliances to our compact appliances, we attach great importance to every small but crucial detail – and that goes for our technology as well as our design. 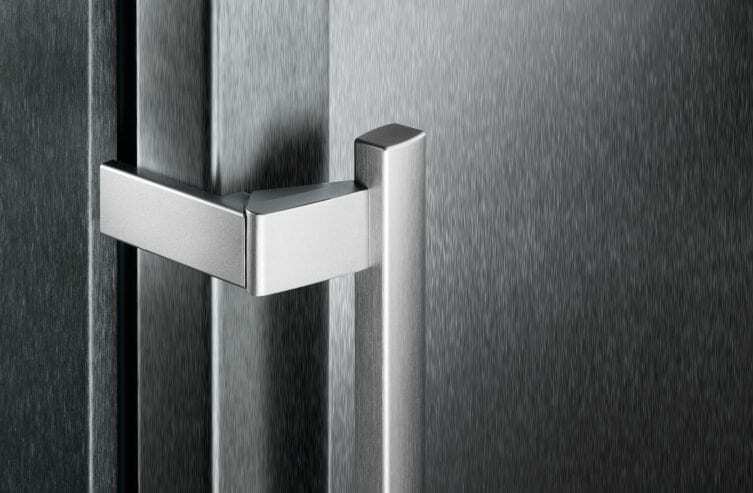 Liebherr’s patented bar handle is an example of our no-compromise attitude towards both utility and design. 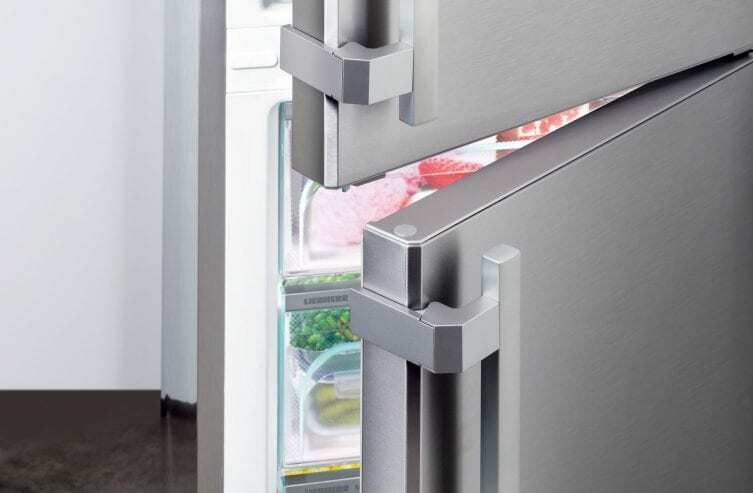 With the bar handle, form and function go hand-in-hand: the aluminium handle itself is particularly ergonomic and its sophisticated mechanism allows the refrigerator door to be opened with ease. As ever, the maxim of design following function plays a central role, as design gives products an identity and makes them unique. The design quality of Liebherr appliances is revealed in a multitude of details, e.g. our perfect stainless steel finishing. 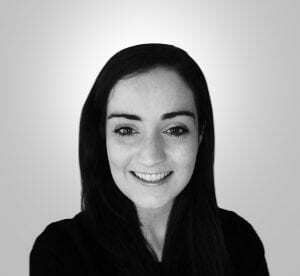 Liebherr has gained a wealth of expertise within the context of manufacturing commercial appliances. In this sector, for reasons of hygiene and easy cleaning, the use of stainless steel is a prerequisite, and hence Liebherr has developed, through experience, the expertise required to ensure perfect workmanship. Almost all Liebherr stainless steel door surfaces have a SmartSteel finish, which provides scratch resistance and reduces the visibility of fingerprints. 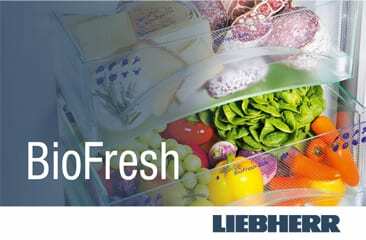 In true pioneering spirit, Liebherr was the inventor of BioFresh technology. 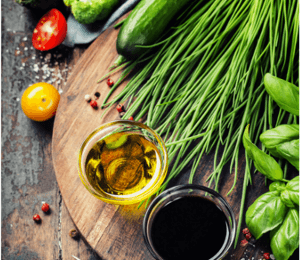 BioFresh safes provide the ideal storage conditions for sensitive foods by offering a constant temperature of just above 0°C and adjustable humidity levels. 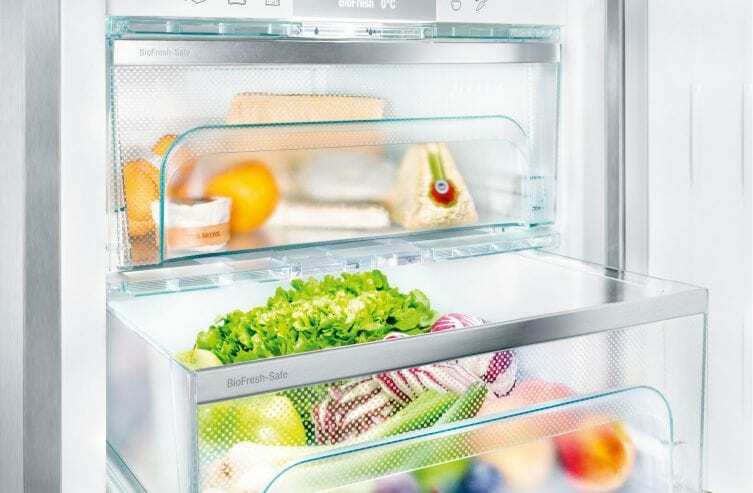 In addition, all inner containers in Liebherr appliances have a smooth, seamless finish, which has been designed for hygiene and easy cleaning. And, when it comes to temperature control, Liebherr attaches great importance to intuitive operation: all icons used on both traditional button-keys and touch controls are clearly visible, and pictograms correlate with each function. Liebherr was the very first manufacturer to utilise LED lighting columns, which provide an economical, long-life light source that softly and evenly illuminates the entire interior. The cool quality of the light visually corresponds to the coolness inside the appliance. Natural materials, such as wood, are not only highly durable, they also provide a homely ambience. 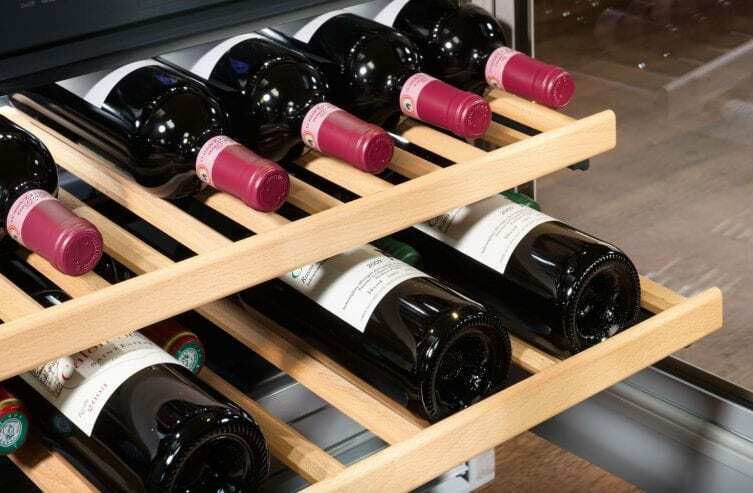 Our wine cabinets store red, white and rosé wines on shelves made from natural beech, and the presentation shelves in our humidors are crafted from Spanish cedar and guarantee optimum storage conditions. 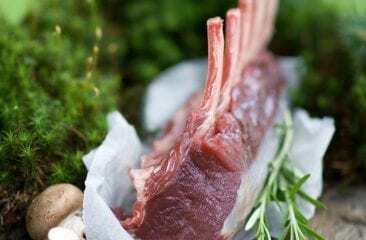 Meanwhile, in our refrigerators and freezers, a large proportion of the interior fittings feature scratch-resistant, shatterproof safety glass that can be easily cleaned in the dishwasher. Liebherr consistently receives recognition for the superb design quality and innovation of its appliances from (to name just a few): the Red Dot Award, the Plus X Award, the iF Product Design Award, the Interior Innovation Award, and the Kitchen Innovation Award from the ‘LifeCare’ initiative. In 2015, for example, the IKBP 3550 BioFresh refrigerator for integrated use and the UWT 1682 under-worktop wine storage cabinet were honoured with the prestigious Red Dot Design Award. So, as you can see – exclusive luxury and distinctive design is an essential part of our striving for perfection, and of the Liebherr philosophy: Quality, Design and Innovation. 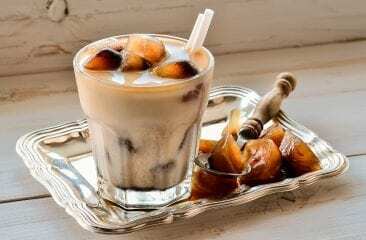 If you have enjoyed this post, then why not subscribe to our newsletter? Perhaps you have questions about Liebherr design? Then, please write to us! Use the comment function below this post or discuss it with us on Facebook.